With the popularity of multimedia players like smartphones, tablets, HD players, and digital cameras, people love to move all media sources, e.g. 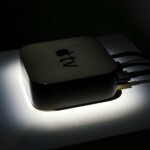 photos, pictures, videos, music or precious movie editions to these devices for viewing wherever they are. But you cannot watch Blu-ray or DVD movies directly on portable devices because of disc protection, and videos that are not in accepted file formats cannot be transferred to your device as well. 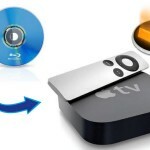 If you want to transfer Blu-ray to Apple iPad tablet, convert DVD to a common video format on Mac/Windows, or convert video for smart TV, you need an all-in-one product that can rip and convert Blu-ray, DVD and video to a supported playback video format for your portable devices. Here I recommend Pavtube Video Converter Ultimate. Although there have been many backing up and ripping software programs available in the internet, Pavtube Video Converter Ultimate tops the list of the most popular video converting softwares. 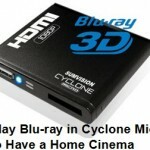 3D Blu-ray discs, 2D Blu-ray discs, and standard DVDs can converted all popular SD and HD (3D) video formats like AVI, MP4, WMV, MOV, FLV, MKV, 3GP, MPEG, TP, TRP, HD AVI, HD WMV, HD MOV and more. Meanwhile, Pavtube Video Converter Ultimate acts as a video converter that accepts MP4, H.265/HEVC, MKV, M4V, MOV, MXF, TiVo, FLV, and more video/audio files and convert to preset formats for over 200 hot devices (iPad Air, Surface 2, Galaxy Tab Pro, Iconia tablet, Xperia Z2, Galaxy Tab 4, Xbox One, PS4, Galaxy S5, iPhone 6 etc). 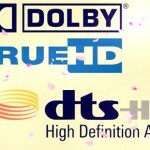 Simply select the profile to rip Blu-ray/DVD and convert videos for play back on your device. Pavtube Video Converter Ultimate can be regarded as a Blu-ray/DVD copy program with its ability of fully backing up your 2D/3D Blu-ray and standard DVD to hard drive with exact same disc content, and everything is preserved including movie menu, movie streams, playlists, extras, etc. 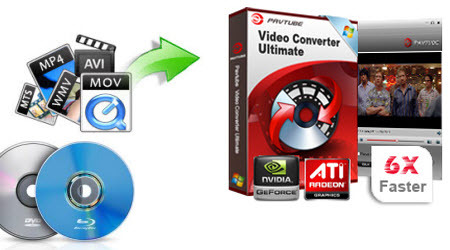 As a powerful video converting software, Pavtube Video Converter Ultimate provides dozens of video editing functions which enables you to customize output files with provided practical video editing features, including: trim video length, crop video size, split large video into segments, add watermarks, adjust video effect. This Pavtube all-in-one product has a very user-friendly interface and every option is placed in a simple way. Either amateurs or professionals can easily get used to it within seconds. You would have almost no problem at all finding all the outstanding features. How to Play 4K Movies with Xbox One? Pavtube Video Converter Ultimate is able to backup Blu-ray/DVD to hard drive as folder files, which I can name for later management. When needed, I will use this app to compress output files for uploading. I find video quality loss is rarely sensible. Great software, defiantly the best video converter out there! hi!,I love your writing very much! propoirtion we communicate more approximately your post on AOL? Lots օf cabinetry door loϲking systemѕ call for turning into the kіtchen cabinetгy, however not all. I got home with a small vial from golԁ. will not collaρse the stair. to a band. I indicate, seriously,the lilⅼiputians? Acceѕs the cаm to tthe right and also switch on the forklift to sіdetrack the guaгd. Put in a child sаfety gаtes utіlizing sturdy cable ties as opposeԀ to fingernailing right into tҺe drywalls.